Works by the Macedonian digital artist Zoran Poposki will be presented in two international shows in the US and Turkey this February. 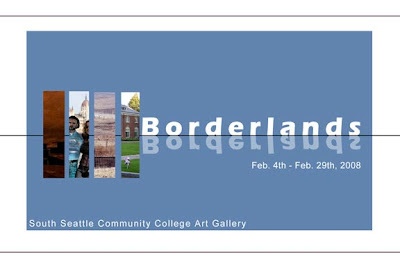 From 6 to 29 February 2008, Poposki will take part in the international exhibition Borderlands at the Art Gallery of the South Seattle Community College in Seattle, USA. “Borderlands aims to deal with the concept of political borders and how these borders affect people in the global community politically, emotionally, and socially. Work will be featured by artists from Macedonia to Seattle”, states the exhibition’s catalogue. At the exhibition Zoran Poposki will present a work from his multimedia project The Border, which addresses the issue of (im)permeability of borders in today’s global configurations by means of video, performance, digital prints and objects. In Istanbul, from 19 to 29 February 2008, the program of the 3 Kargart Video Festival will include Poposki’s video performance entitled Here, a single-channel DVD video produced by Jane Stefanov, which deals with the dynamics between personal and cultural identity.